Operation Tic-Toc physicist Dr. Anthony Newman couldn’t let Senator Leroy Clark shut down the Time Tunnel project. He’d devoted five years of his life working with an elite team of scientists and engineers to perfect time travel, but that was less important to him than the main reason he had struggled so hard to be selected to work here. He’d lost both of his parents, his Mom to a car accident in 1940 and his Dad nearly eighteen months later on December 7, 1941 during the Japanese attack on Pearl Harbor. He’d been raised by his Mom’s sister June Landers in New Jersey but there was nothing she could ever do to fill the enormous gap torn in his seven-year-old life. He’d been recruited by the government while still at MIT. The brilliant scholarship student who graduated with a doctorate in Temporal Mechanics was first assigned to a think tank outside of Arlington in what he thought was a project involving theoretical mathematics applied to the uncertainty principle and expressed in five dimensions. In other words, science for its own sake with no practical use. Then on this twenty-eighth birthday, he received classified orders to report to a top secret government facility buried beneath a remote desert region of Arizona: Operation Tic-Toc. Time travel was real. Now he had to help make it practical. Funding an 800-level underground complex that housed the world’s most powerful nuclear reactor and employed 10,000 people was enormously expensive. That’s what Senator Clark had flown out there to tell the senior staff, himself, his partner Dr. Doug Phillips, scientists Dr. Ann MacGregor and Dr. Raymond Swain, and their military commander, Lt. General Heywood Kirk. If they couldn’t demonstrate to the Senator that an object could be sent to a specific point in the past, kept there for a calculated amount of time, say twenty-four hours, and then returned unharmed to the present, the project would be shut down permanently. Tony Newman was about to lose his parents forever. He was adamantly resolved to prevent that no matter what the cost. Dressed in what he hoped was non-descript civilian clothing, he entered the main Time Tunnel chamber through an unguarded service conduit. His security badge let him open the access hatch without triggering any alarms, but the minute he called on power from the reactor to be fed to the Tunnel, the alert Klaxons would blare and he’d have only minutes before the MPs rushed in to stop him. He made sure the security codes on all of the entrances including the one he just used had been changed, but that wouldn’t keep them out for long. Hopefully though, it would be long enough. Tony had programmed the destination coordinates ahead of time and now it was just a matter of feeding the data into the control computers and allowing them to configure the Tunnel to create the correct point-to-point temporal link. 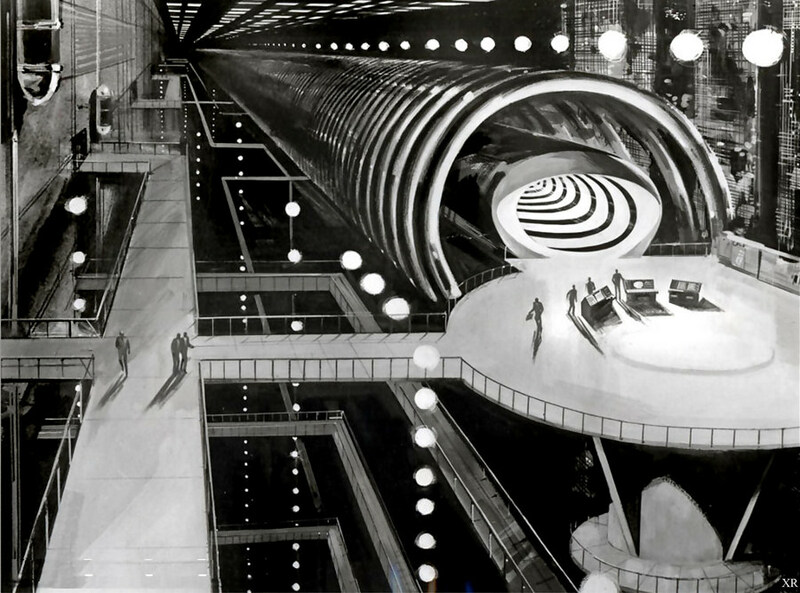 It was called “The Time Tunnel” not only because of its physical geometry as a cylindrical tube with alternating black and white rings, but because it created a virtual tunnel with one end anchored to the present and the other, at least in theory, to whatever set of coordinates in timespace were selected. That was the Tunnel’s major flaw. The destination link tended to drift which would result in the object sent back either shifting in timespace with the wandering end or being left behind at the first destination point. In either case, retrieval of the object sent back became nearly impossible. The experimental program Tony wrote was a shot in the dark, but it might correct the problem, at least enough to give the Tunnel’s control team a chance to bring him to come home. But it didn’t really matter. Tony wasn’t planning on coming back. Sure, if they could pull it off, it would be terrific, but as long as he could save even one of his parents, he’d sacrifice his life in the present so they could have one in the past. He wouldn’t have to grow up an orphan. Everything was set. All he had to do was push the power control lever to the “Full” position. The Tunnel would make the devil’s own noise in addition to all the alarms he was about to set off. The young scientist felt his heart pounding in his chest. “Here goes.” He grasped the metal bar in his right hand and pushed it all the way to the last marker. Flashing red lights and alarm sirens instantly came on and the Tunnel flickered, shuttered, and whined like a slumbering ghost ripped violently from the underworld. As Tony ran into the tunnel, what looked like explosions of blue light crackled all around him. The radiation wasn’t harmful and was supposed to make him detectable across time so the Tunnel crew could locate him. He thought he heard voices behind him. They were in the chamber but it was too late. If they cut power off now while the transition was initializing, they’d kill him. Suddenly the universe in front of Tony ripped itself apart and he fell headlong into a swirling kaleidoscope of sight and sound, of things and ideas. Tony Newman tumbled into the grass. It was night. There was the smell of heavy smoke in the air. At first he couldn’t see anything but the first thing he heard was crying. He looked up. It had been over twenty-five years, but he still recognized where he was. Pain, loss, and sorrow threatened to choke him. It was what was left of his house, his Dad’s house, the one near Pearl Harbor. It had been burned to the ground in the attack but miraculously the palm tree in the backyard that he always climbed as a boy was still standing. In fact, the person crying was the same boy, seven-year-old Tony Newman. “Who’s there?” The little boy had been sitting, sobbing into his hands, but now he was instantly on his feet. “Don’t be afraid. I won’t hurt you.” Thirty-four-year-old Tony thought it would be a good idea to sit up but not stand. He wouldn’t seem as much of a threat that way. “Who are you? What are you doing here?” The boy looked like he was ready to run. The boy looked confused and the scientist didn’t blame him. If he remembered it right, this whole group of houses was built less than ten years ago from the child’s point of view, so how could older Tony have lived here a long time ago? “I couldn’t save my Dad either.” The child started to relax, enough to sit back down again. Tony tried to remember. Wait. He’d run away. When the attack started, he’d run out of their neighbor’s house to look for his Dad so he could make sure he was safe. Mrs. Neal was supposed to be watching him, the Neal’s son was his best friend…what was his name again? The boy’s lip started quivering and then uncontrollable sobs wracked his body. The scientist risked moving closer to his younger self. Finally little Tony let him put his arm around him. It was a strange feeling. The physicist smiled. “Someday you will. I promise.” The child waved and as Tony waved back, the boy turned and ran back home and into his future. 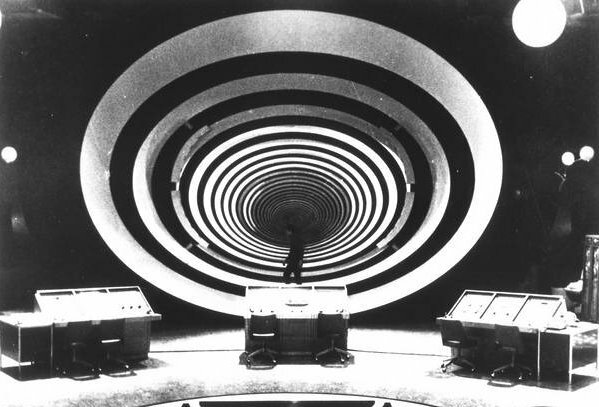 The Time Tunnel moaned and whined, its concentric rings brightening and dimming creating a mesmerizing projection of light and sound. Explosions flashed at the far end and then the far end became a lot farther, stretching out into the infinite as if a cosmic hand were trying to pick up a tiny, fragile kitten with the power of a Titan. Tony Newman was watching the second-grader disappear into the darkness and distance when the world around him fell apart and he was yanked back into a weightless and timeless chaotic void. After what seemed like an impossibly long fall, he landed hard on his left arm amid smoke, white lights, and a loud humming. Did someone call his name or did he imagine it? He looked up. He was back in the Time Tunnel. The radiation in here wouldn’t hurt him but it would kill anyone trying to come in after him. He struggled to his feet. His arm hurt. He hoped it wasn’t broken. Tony tried to walk in a straight line toward the mouth of the Tunnel but he felt dizzy. They’d retrieved him from the past, but the retrieval process was unstable. If they couldn’t hold it until he could get back out, he might still be sent who knows where in time? He only had a few yards to go. His Mom’s voice. The doctors had operated on her but she was still bleeding inside. Those were the last words she ever said. How could he hear them so clearly? It was like they were right there with him in the Tunnel. He felt arms holding him, keeping him from falling. Where was he? When was he? Tony Newman woke up in the project’s infirmary. Ann MacGregor was sitting next to him. Ann moved aside to let the physician get closer. Tony didn’t recognize him but he’d only visited the infirmary once, and that was during the tour he’d been given five years ago. Dr. Anthony Newman had changed history but not they way he had planned. He hadn’t saved his Mom or Dad. Maybe time wouldn’t allow it. But he had saved himself. He remembered two very subtly different lives and personal histories. In one, he was a very angry and bitter little boy who had grown up to be a very angry and bitter, albeit brilliant young man, one who never made commitments, who never married, and who never wanted to raise a child. In the other, he still grieved, for what child suffers the loss of both parents without pain, but as the years passed, he became more hopeful, more optimistic about the future, knowing that he was carrying the best of his Mom and Dad inside of him. He still wanted to explore the limitless possibilities of time travel, but he no longer needed to use it to repair his shattered soul. Tony Newman smiled. He had missed his wife and two children. They were going to have a wonderful future together. I wrote this for the Sunday Writing Prompt #235 “New Years Resolutions” (I know, it’s Monday. Sue me) hosted at the Mindlovemisery’s Menagerie blog. The idea is to use the phrase “New Years Resolutions” as the prompt for writing a response to one of a series of essay questions. You’ll see them listed if you click the link above. I had absolutely zero interest in writing about resolutions and almost discarded the prompt. Most people don’t make a permanent and positive change to their lives just because the calendar changes from December 31st to January 1st. Motivation doesn’t work that way, and change, even beneficial change, is really hard. So instead, I thought about some other resolution to change. Of course it involves time travel. I came across the Zig Ziglar quote I posted at the beginning of the story on twitter and married that with my story idea. Time travel stories, a lot of them anyway, revolve around some sort of mistake or problem that the protagonist tries to fix by going back in time and changing it. That’s what Tony Newman tried to do. I toyed with the idea of his saving either his Mom or his Dad or maybe saving his Mom which would have changed history preventing his Dad from dying, but eventually threw those thoughts out the window. The Ziglar quote speaks not of starting over but of making a new ending. So I had big Tony make a small but important change in little Tony’s life which, in the grand scheme of things, didn’t change the world, but it did change Tony’s world. I’m basing the characters, situation, and technology on an old television show called The Time Tunnel which ran from 1966 to 1967 (the show was set in the year 1968) and starred James Darren as Dr. Tony Newman, Robert Colbert as Dr. Doug Phillips, and Lee Meriwether as Dr. Ann MacGregor. The basic dilemma of Operation Tic-Toc being closed down by Senator Leroy Clark and Tony Newman secretly using the Tunnel to send himself back in time to prevent the closure occurred in the pilot episode Rendezvous with Yesterday (originally aired 9 September 1966). Only in the pilot, Tony had no specific destination or agenda and set the Tunnel to send him fifty years either forward or back. He ended up on the Titanic the day before it struck an iceberg and was sunk. I leveraged events that occurred in the episode The Day the Sky Fell In (aired 30 September 1966). Doug and Tony arrive in the Japanese embassy in Honolulu on the night of December 6, 1941, the day before the Japanese attack on Pearl Harbor. Tony was a little boy living in Hawaii with is Dad, having lost his Mom the year before (the episode doesn’t mention how she died so I made that part up). 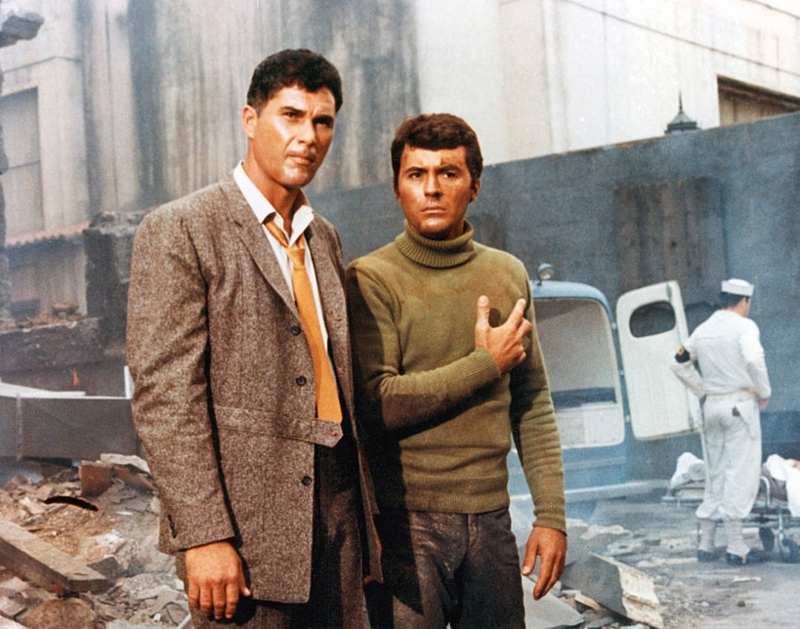 In the show, adult Tony meets his Dad and although little Tony was told that his Dad was MIA, his adult counterpart discovers that he’d been trapped in a building when a bomb exploded. His remains were never identified. I decided to play on all of that to create my own fictional history of Tony Newman and gave him a new purpose for working on the Time Tunnel project. I also gave him a new beginning and a better life. His resolution didn’t work out as planned but in a way, what changed was even better. You can still watch shows like the Time Tunnel for free on Yahoo free videos (Hulu offloaded them so they could offer more paid content). I’ll bet my 14 year old grandson would get a kick out of them. Actually, I don’t know about that. Those old programs were pretty cheesy, even back then, and kids who are used to modern storytelling and special effects might think those old Irwin Allen thrillers are too goofy. We talk about that. That’s what makes it fun. I remember the series pretty well. One of my favourite ‘time travel’ fiims was The One with Jet Li. I remember watching that film once. Can’t say it was one of my favorites. I did re-watch the original Star Trek series episode “City on the Edge of Forever” last night. One of the best, even though the script by Harlan Ellison was heavily re-written at Roddenberry’s request and Ellison hated it. We had it as a video and it was one of our more frequently watched films. I remember Jean-Claude Van Damme in Timecop but only watched that a couple of times. I have a nostalgic fondness for “The Time Tunnel” but it really was pretty bad, except for a few episodes. In 2002, they tried for a remake but it was rejected in favor of “Firefly” (which was a wonderful series). “Legends of Tomorrow” is more of a superhero TV show than time travel and after a while, it got boring. Google tells me there are a bunch of other time travel TV shows, most of which I’ve never heard of. I do have to say one of my favorites was “Quantum Leap,” even though it contained some flaws. It wasn’t always obsessed with big historical moments, although there was one time Sam tried to save John F. Kennedy. I did read Stephen King’s “11/22/63″ with great interest. It was the first time I’d read a King novel in decades since after a while, all of his books seem identical, portraying the same creepy people in the same creepy towns in Maine. 11/22/63” had the virtue of being very well researched and detailed, but unfortunately, King still included the same creepy people in two small towns, one in Maine (of course) and the other in Texas. As a child, I read a series of time travel books written by Andre Norton (Alice Norton) about time travelers from the US and USSR competing to discover alien technology, especially spaceships, lost in the distant past. I’ve even “re-written” about three or four of her novels on my blog. Back to the Future is easily the most popular series in time travel. Was Firefly the prequel to the film Serenity? We had that on DVD. I loved Quantum Leap, and the Kennedy episode left you to believe Sam was there to save Jackie. Then they did the ‘Piggy Sue’ for Buddy Holly. We were fans of Start Trek but couldn’t get to grips with Babylon 5 or the film The Time Traveller’s Wife. I tried to read to the book but gave up I’m afraid. Not having a TV now we’re only aware of the reruns when we visit anyone. They’ve just started Lost in Space I believe. Oh boy, I remember that………..
After Firefly was foolishly cancelled, the film Serenity was made to tie up the loose ends. Yes, Quantum Leap eventually suffered from the writing team’s lack of imagination and had to be shot. I’ve never watched Babylon 5 or seen/read The Time Traveler’s Wife. Lost in Space? That’s a blast from the past. The first season or rather the first half of the first season wasn’t too bad but it fell apart quickly, just like most of Irwin Allen’s series. That said, as a ten year old, I had a huge crush on Angela Cartwright. Ah yes, and she was in The Sound of Music too. I remember her sister in the first Alien film! Oh wow. I didn’t know that was her sister. Thanks.